Our portfolio is about where our customers want to be. Where they want to live, work and grow, where they want to retire or raise their family, and where they want to vacation and spend their valued leisure time. 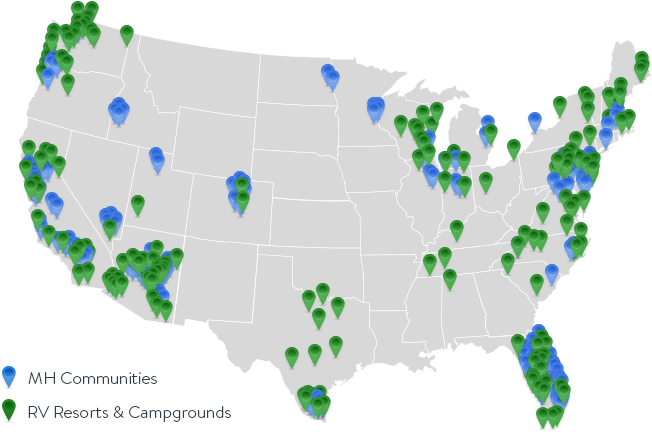 It’s easy to see the pride of ownership our residents have in their homes and home sites across the more than 200 communities that make up our manufactured housing portfolio. 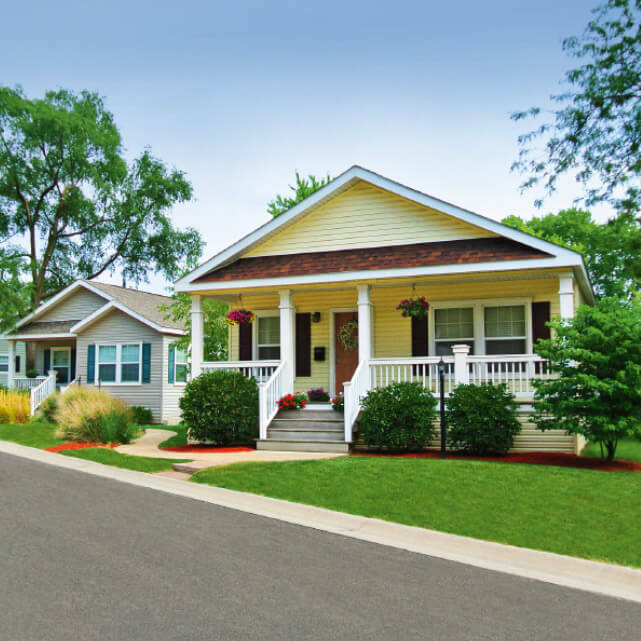 Our beautiful communities and standard of excellence have been recognized with many “Community of the Year” awards by the Manufactured Housing Institute for their outstanding quality and the professionalism of our management. We create communities our residents are proud to call home. 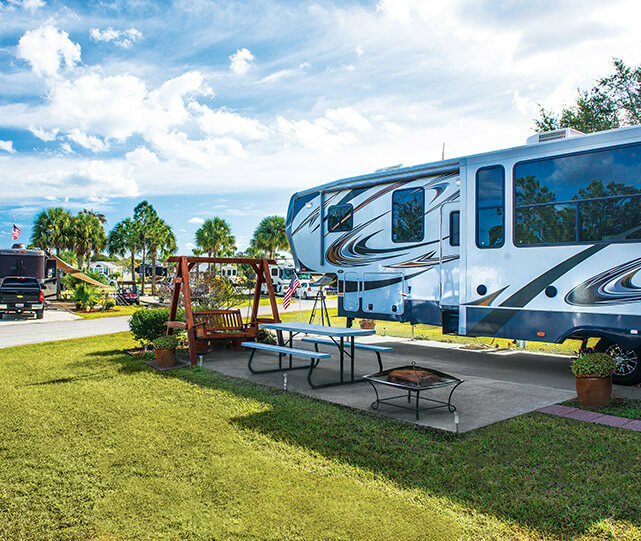 Our more than 185 RV resorts and campgrounds across the country are designed to help our guests make lasting memories with friends and family. Whether they stay with us for a long weekend, a season or for many years, our guests embrace new adventures and enjoy endless events and activities at our properties. With a presence in 32 states and British Columbia, we leverage our size and scale for the benefit of our residents and guests, as well as our investors. We have access to capital that allows us to grow, and to expand and upgrade existing communities. Our national scope helps to insulate the company from economic downturns in any one market while allowing us to take advantage of economies of scale. At the same time, our regional management offices located in key markets ensure we are engaged in our communities and maintain local expertise, even as we benefit from a national presence.